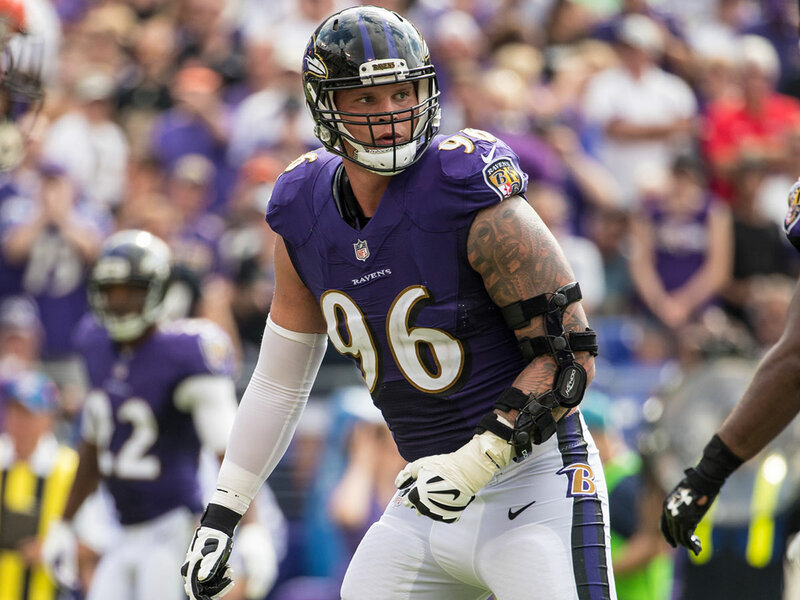 Defensive end, Brent Urban, will remain in Baltimore. Today, the Ravens announced that the front office and Urban reached an agreement that would keep him in Baltimore for the 2018 season. Urban signed a one year deal with the Ravens, but the details of the deal are still unknown. Urban was seen by most as a player on the rise and was scheduled to have a prime role with the Ravens in 2017. This view fell apart in Week 3 of the NFL season when the Baltimore Ravens played the Jacksonville Jaguars. In that game, Brent Urban suffered a Lisfranc foot sprain and missed the rest of the season. Urban, a University of Virginia alumnus, has dealt with injuries throughout his short time in the NFL. Urban was drafted by the Ravens in 2014, only to miss the entirety of his rookie season. In training camp of that year, Urban tore his ACL. In 2015, Brent Urban tore his biceps muscle in training camp and was placed on the injured reserve. He finally saw his first NFL action in Week 12 of 2015. That game was against the Cleveland Browns, and Urban made one of the most legendary plays in Ravens history. Urban remained healthy for the rest of the 2015 season, and all of the 2016 season. By re-signing Brent Urban, the Baltimore Ravens are attempting to lock up key free agents early. Brent Urban will return and be a key part of the Ravens defensive line and should be used to get pressure on opposing quarterbacks from the inside. Additionally, bringing back Urban means that the entire 2017 Ravens starting defense is under contract for 2018. This means the unit will be back together for the 2018 season, barring any cuts or trades. This is very beneficial for the Ravens, as the defense showed flashes of excellence last year. Another year together can only elevate the level of play. Jeff Zrebiec of the Baltimore Sun reported that Urban will receive $1 million in base salary. His contract also has incentives. Urban was the Ravens only defensive free agent who had started a game in 2017. Their entire defense, minus a cut or two, should be back. Brent Urban, who the Ravens re-signed earlier this week, will have a base salary of $1 million with some incentives.